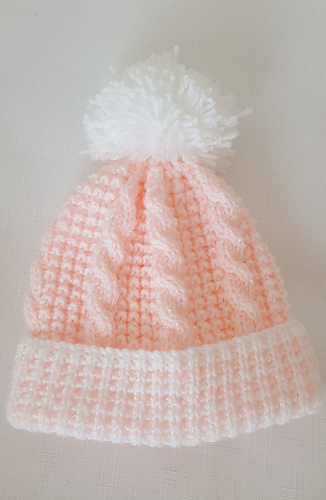 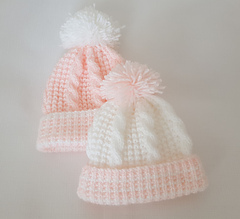 Such a cute hat for Autumn/Winter perfect for keeping your little ones warm and cosy. 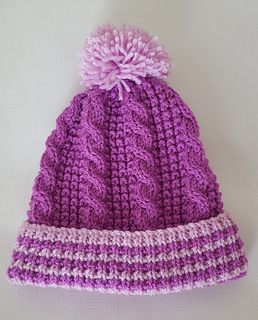 Knitted flat on two needles using double knitting yarn (light worsted) in two contrasting shades…a great stash busting pattern that can be knitted in numerous colour combinations and ideal for using up oddments of yarn left over from larger projects. 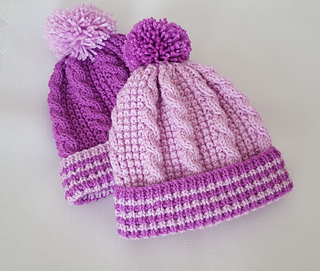 YARN: The smallest size requires approx 45g and the largest approx 70g.